Your auto accident attorney strongly recommends that you do not leave the scene of the accident until you have been cleared to do so. Leaving the scene of an accident too early may turn your case from a normal auto accident into a hit-and-run, especially if there are injuries. If you are charged with a hit-and-run accident, then you will face much stiffer consequences than a typical auto accident. Before checking on the damage to your car, check on the people who were involved in the accident. Make sure that the other driver and all passengers are not injured. If they are injured, be sure to call for an ambulance immediately. It is best not to move anyone who is injured in case they have back or neck injuries. Stay with them until medical help arrives. If someone has been hurt or if there is a large amount of property damage, your auto accident attorney recommends contacting local law enforcement officials. The officers that arrive can fill out a police report that can be provided to both parties involved as well as their insurance companies. If the police arrive to the scene of your accident, be sure to document the name and badge number of the officer who responded in case you need to contact them in the future about the accident. Both drivers involved in an auto accident should exchange all necessary information with each other. That information includes their names, phone numbers, their drivers’ license number, insurance information, and license plate numbers. When sharing information after an accident, do you best to be civil to the other driver. While being civil can make the process easier, be sure to not apologize for the events of the accident. Apologizing for the accident can make it appear to be your fault. Do not admit guilt to the other driver of the accident. If there are witnesses, ask them what they saw. Get their information in a way that can be called upon again if they are needed for your auto accident case. It is recommended that you take pictures of your damaged property as soon as possible. These photos can be submitted to your insurance company and they could strengthen your case if it ends up going to court. Being able to show before and after photos of your vehicle will show what damages were sustained during the accident. If you had to receive medical treatment for an injury sustained during an auto accident, be sure to keep track of what sort of treatment you received, as well as medications and any follow up appointments. Keep copies of all of your medical bills and receipts, even if your insurance company is handling them. Your attorney will request to see those bills if you end up making a case out of the accident. It is also recommended that you keep documentation of your pain and suffering. You can do so by writing down your injuries, how often you feel symptoms from the injury, how it has impacted your daily life, and the activities that you are not able to do any more. Also be sure to note down how it has affected your work life and how much work you have missed because of your injuries. If your property has sustained damage during the auto accident, you will need to contact your insurance company to receive an estimate for the damages. In addition to your insurance company’s estimate, you should also consult with two independent repair shops to give their estimate for the damages as well. If there were any injuries sustained during the accident, you should seriously consider hiring an experienced accident attorney to help you navigate your case. An attorney can help defend you if you were at fault or help maximize your settlement amount if you were the victim. Many insurance companies will try to offer you an early settlement which you should be wary of. Your experienced attorney will advise you not to sign any settlements that come in too early. Most accident attorneys work on a contingency fee. That means that they do not get paid until you have received the damages you are entitled to or your settlement from the insurance company. Contact your local accident attorney for a consultation. Remember, if you have any questions about the information given, contact your auto accident attorney to help you understand it better. 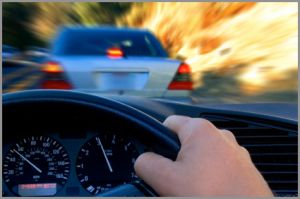 For an experienced auto accident attorney, contact Russell & Lazarus APC at (949) 851-0222.